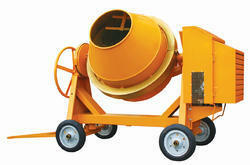 We are instrumental in offering a high-quality range of Reverse Concrete Drum Mixer. The machines offered by us are delivered timely and safely. 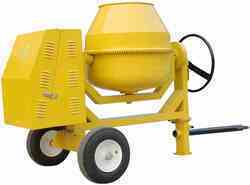 We are a prominent manufacturer of Cement Concrete Mixer. These mixers are manufactured using superior quality raw material & components, which are sourced from reliable vendors in the market. 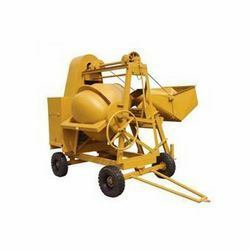 Reversible Concrete Drum Mixer is the strong well-engineered piece of construction equipment which is meant for carrying mixing mortar from the batch plant directly to the place where it is to be poured. Being a quality-centric organization, we are encouraged by our clients to offer supreme quality Self Loading Concrete Mixer. 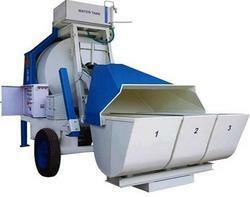 The offered machine is widely used for making bricks from fly ash and is highly demanded in the construction industry.